Amanda Lang was spotted occasionally on tv. and she always seemed to make sense, but I was most impressed after watching her being interviewed by Peter Mansbridge regarding her new book. A lot of her thinking was very personal and she was not ashamed to discuss how she advanced after making some poor decisions. She sometimes seems like a punching bag for Kevin O'Leary, but I think she holds her own. As a business news journalist Amanda has become very conscious that a critical step in economic growth is innovation. Innovation can be very dramatic, but more practically can be incremental. People are stumbling on better ways to do the old familiar things and occasionally discover a major breakthrough that changes the game. Amanda notes that in society people tend to seek acceptance rather than questioning the way things are. We strive to fit in. This starts as we become socialized after birth. We are criticized for questioning authority. School is too much rote learning. In business we become afraid of rocking the boat. She quotes a study by Canadian Tire that goes very deep into why people do what they do. One of the unexpected consequences which struck a nerve with me was the realization that Canadian women can be pretty hard on their men. This was only a small part of the discoveries to find out how to bring more people (men and women) into Canadian Tire. Questions are at the root of solutions. Problems are so common that many are taken for granted, but questioning in depth sometimes reveals opportunities. 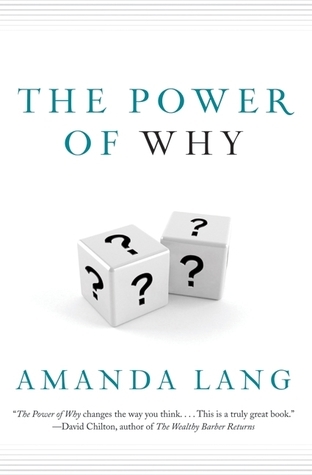 Managers are often risk adverse, but instead Amanda recommends the encouragement of inquiry. An engaged employee is one more apt to find solutions. As a youngster Amanda loved riding horses and developed an interest in dressage. Dressage is a discipline where you are judged how well you can get your horse to perform intricate movements with minimal signals. Forces you to think like a horse. Looking back she sees that successful people (in business and personal life) need to understand how the other person thinks. The book is very simple to read and does include helpful examples.